Cocktail Shoes - Ballet Flats with Interchangeable Ribonettes! 100% Proudly designed and manufactured in the Philippines. Cocktail shoes were created for fashionable girls who are practical too! Cocktail Shoes Ribonettes - hundreds of different colors and prints to choose from! Cocktail shoes' first collection features comfortable and stylish ballet flats with interchangeable ribonettes. Coming soon are these equally versatile sandals with interchangeable straps! I personally can't wait for these to come out! Their ballet flats come in 6 fashionable colors: tomato (red), coal (black), gold, pewter, bronze and camel. Each shoe comes in its own clear bag with 3 free ribbons of your choice to give you endless looks! 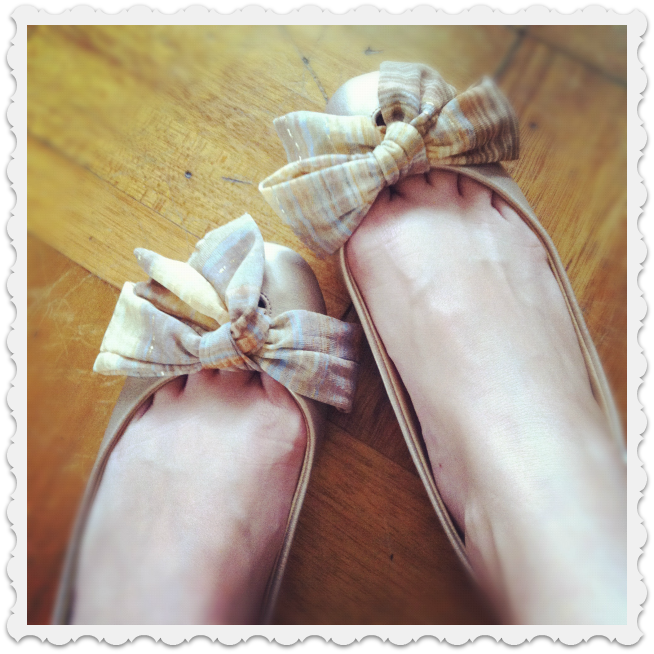 "Change the look of your shoes with the tie of a ribbon!" The quality and comfort factor of Cocktail Shoes are quite commendable and very affordable at just P990/pair. Their shoes are very well cushioned so I suggest you get a half size bigger when ordering. ps. Cocktail Shoes will be available on Zalora soon!